There is a large body of evidence indicating a self-renewing population of neurons throughout life in the human brain, but if that is the case why do people suffer from age related neurodegenerative disease and memory deficits? This is likely to be because the number of cells that can form new connections and their ability to sustain networks decreases as a natural phenomenon of ageing. The process and consequences of ageing are controlled by genetic and environmental factors. A rapidly expanding field of research is that of epigenetics. ‘Epigenetics’ is the concept that DNA can be altered during the lifetime of an individual such that the gene expressed remains the same but the level of its expression changes. This occurs naturally and is mediated by endogenous factors. These factors are themselves controlled by the environment and the health of the individual. The genetics of ageing is associated with particular epigenetic patterns. They compared sedentary and voluntarily exercising groups for memory gene expression and modified genetics, between younger and older subjects. 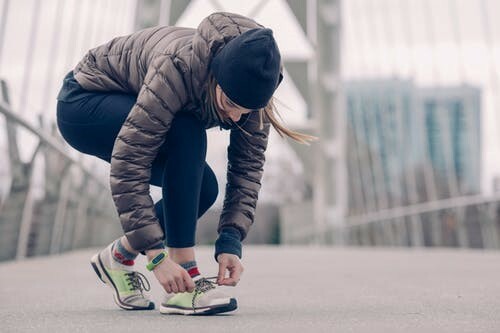 Gene profiling and analysis revealed that the levels of DNA expression did not recover to levels characteristic of younger individuals after physical exercise, but that exercise can prevent a decline to the extent that memory was significantly better than in an individual with a more sedentary lifestyle. Voluntary exercise prevented a decrease in the expression of two enzymes that are expressed on neurons known as ten-eleven translocation enzymes, TET1 and TET2. Both are involved in the maintenance and development of constantly dividing population of new neurons that allows existing neuronal networks to be maintained and new networks to be made. The effect was most visible in areas of the brain associated with memory such as the hippocampus. Age-induced downregulation of these enzymes naturally contributes to decreased neurogenesis and is associated with a decline in memory. Exercise counteracted the effects of ageing by increasing the expression of DNA encoding the two enzymes in the study by inducing epigenetic modifications. These results show a correlation which implies a strong link, but further study would have to determine whether the relationship between exercise, the level of the enzymes present and memory is causal. This study only studies effects on two genes, therefore it is possible that exercise could have effects on the expression of other genes that were not investigated. However, these findings suggest that physical exercise becomes increasingly beneficial with age and could have even greater effects when combined with cognitive training. The population of the UK is ageing. According to the Medical Research Council, by 2050 25% of the population are predicted to be over 65, and while this reflects improved standards of modern medicine, it has implications for the prevalence of age-associated neurodegenerative disease characterised by memory and cognitive deficits, such as Alzheimer’s. Pharmaceutical companies are racing to find a revolutionary cure for such diseases, with mixed success; but increasing physical activity in later life might be just as effective in the meantime.